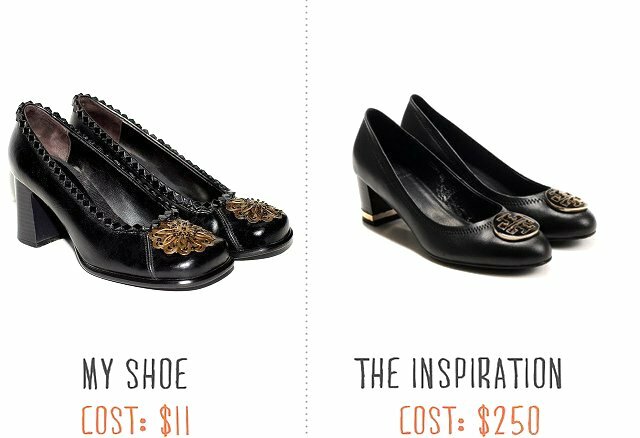 Sisteroo: DIY Tory Burch Pumps! Take a moment to remember the good times you and your old pair of shoes had. Give them a nice scrubbing with polish and apologize for years of neglect. Now get your creative juices flowing. 1. At your local craft store, look for a pendant, belt clip, bezel, or something that would look great at the toe of your shoe (I brought a shoe to the store with me and got some interesting glances as I held up an old pump to necklace strands). 2-3. Since you're already there, why don't you grab some black gems or other fun trimming objects?! I glued the black gems to the gold bezel. For the shoe trim, I used polished stone necklace strands, though I would recommend something a bit lighter to avoid fall-off due to weight. Use necklace thread and thread the beads to the correct length and tie them off for added strength before you glue. Keep in mind that you'll want something with a flat side so the adhesive has more surface area to work with. 4. 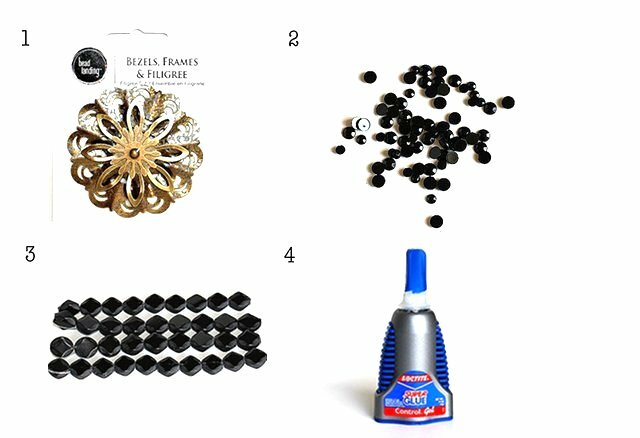 Affix bezel and trimming items to shoes--a hot glue gun or super glue do wonderfully. I like the bead trim thing you did around the shoe. It looks really shiny and textured. Thanks for the idea!